‘We are tied to the ocean’ - John F. Kennedy. 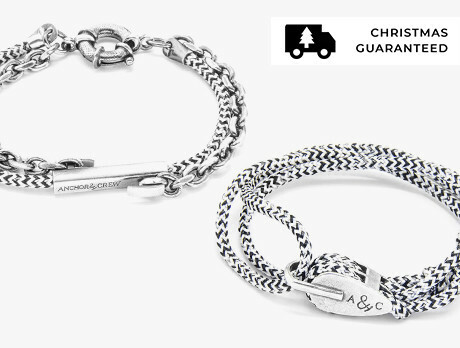 Crafting understated, unisex accessories inspired by the pull of the ocean and our nautical past, Anchor & Crew’s effortless bracelets reunite each wearer with the pull of the water. Expect a bond as strong as a sailor’s knot.